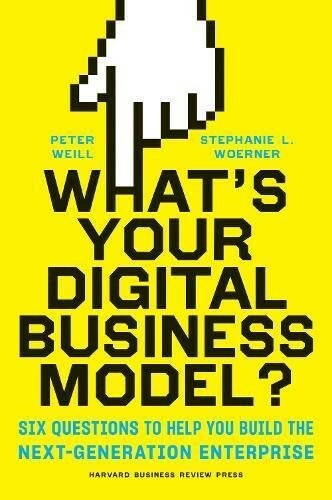 MIT Sloan’s Stephanie Woerner and Chirag Kulkarni, CMO of Medly, a digital pharmacy in NYC, and writer for Forbes, Fortune, and Entrepreneur, will discuss Woerner’s new book, What’s Your Digital Business Model? : Six Questions to Help You Build the Next-Generation Enterprise, during a Twitter chat on June 13th at 1 p.m. EDT. Stephanie Woerner is a Research Scientist at the MIT Sloan Center for Information Systems Research. She studies how companies manage organizational change caused by the digitization of the economy. Her research centers on enterprise digitization and the associated governance and strategy implications. In previous National Science Foundation-funded work, she studied distributed work teams and their use of multiple media, electronic communication technologies, and coordination mechanisms to get work done. She was also project manager for the 5-year grant. Woerner will discuss her work with host Chirag Kulkarni, the Chief Marketing Officer of Medly, a digital pharmacy in NYC that has embraced digital innovation by integrating the pharmacy experience for patients, doctors, and insurance companies. Previously, he’s helped companies like Expedia, LinkedIn, and Alexa increase their revenue online through digital marketing. Forbes named him one of the top 25 marketers. He frequently speaks at organizations like Infosys, Accenture, and IIT about digital marketing. Join us on Twitter on June 13 at 1 p.m. ET, follow along using #MITSloanExperts, and potentially win a free copy of What’s Your Digital Business Model? : Six Questions to Help You Build the Next-Generation Enterprise. What do the following items have in common: credit cards and streaming or recorded music, robots for production, CAD systems, telephone networks, digital games, computers in products like cars and vacuum cleaners, sensors, and video consoles used in remote mining? Answer: They are all digital and connectable. This is the world of total digitization: a multitude of digital devices and sensors creating streams of data, as well as any number of digital services and products for both internal and external use, distributed throughout the enterprise, and sometimes, but not always, connected. As the drive toward increased digitization continues, enterprises have to get a handle on this total digitization — and corporate CIOs have to step up to the challenge.